The Polish War Graves in the town of Axel are to be found in a part of the General Cemetry which has been consecrate as Roman Catholic Cemetery. This plot of 22 Polish War Graves is situated in the middle of the General Cemetry. The General Cemetery itself is to be found on the west side of the town of Axel. 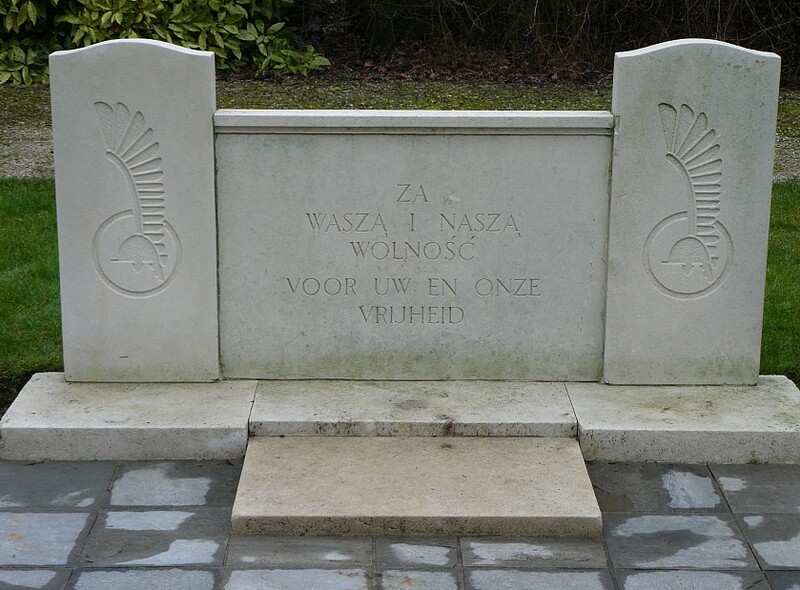 It's not clear why 21 Polish soldiers, who died at Axel in the Netherlands, were taken to the Canadian War Cemetery at Adegem in Belgium, whilst the other Polish victims were buried in the town of Axel. Except the above mentioned victims more wounded Polish soldiers died in several hospitals, for instance at Sint Niklaas and Gent in Belgium. Nowadays these 18 victims lie buried in the Polish War Cemetery at Lommel, Belgium. 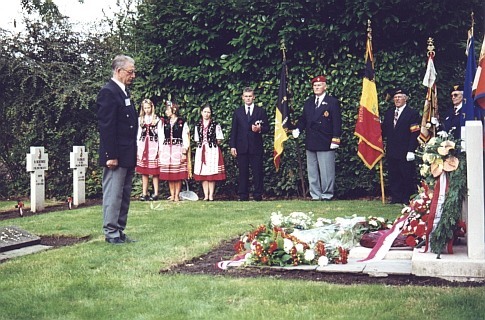 Commemoration of the liberation of Axel 25.9.1999.